5 students – Juan Pablo (Colombia), Pam (Colombia / Venezuela), Yael (Israel), Shweta (India) and Helen (Germany) – and one member of staff (Hilde from Norway) from UWC Red Cross Nordic attended the 2016 Nobel Peace Prize Ceremony in the city Hall in Oslo on Saturday 10th December. 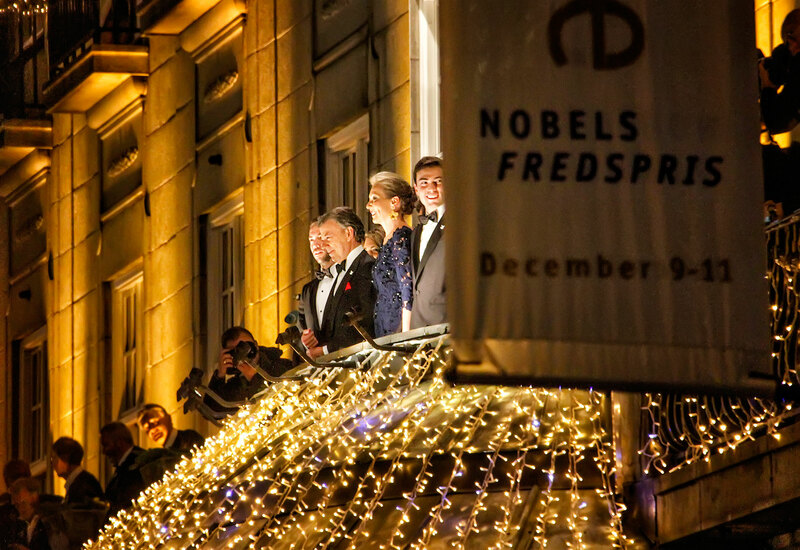 The Nobel Peace Prize 2016 was awarded to Juan Manuel Santos (President of Colombia) “for his resolute efforts to bring the country’s more than 50-year-long civil war to an end”. 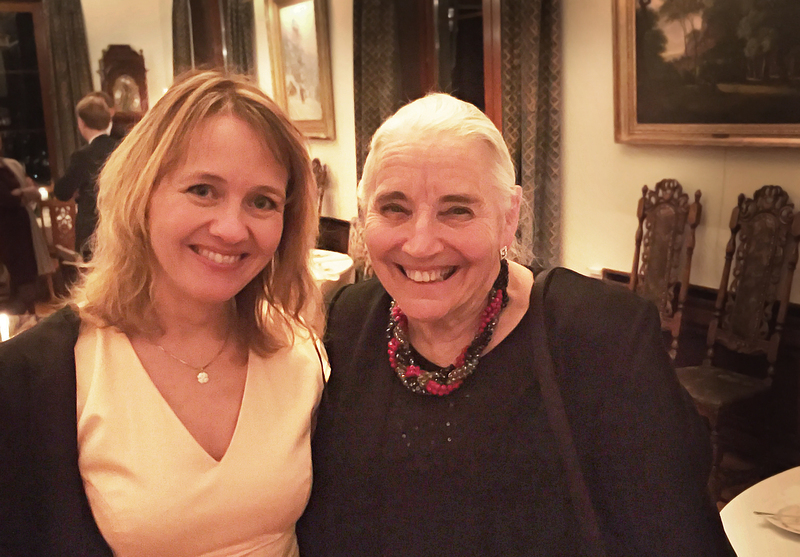 Please see the links for a) the presentation Speech by Kaci Kullmann Five, Chair of the Norwegian Nobel Committee and b) the Nobel Lecture delivered by the winner. The world turns its attention every year to the Nobel Peace Prize in Oslo and, given UWC’s mission for peace and a sustainable future, it is pertinent that our students are invited to attend the ceremony. Over 30 other students on our Winter Programme attended the candle-lit procession through Oslo city centre. 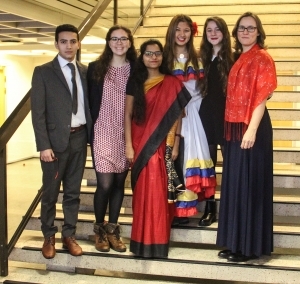 The awarding of the prize this year holds special significance for us as a College given our Colombian students – Yeison and Yerson – who have completed their studies here as participants on our Survivors of Conflict programme – for more information on the programme and future scholarship places, please click here. 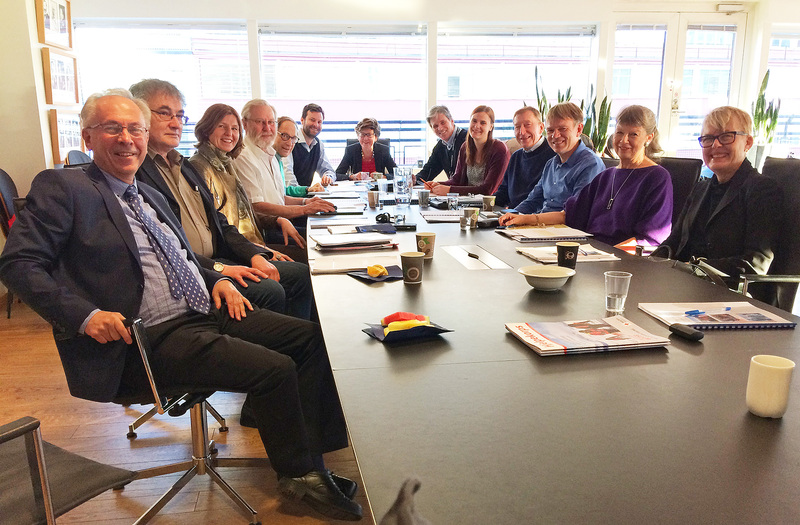 The Board members of UWC RCN met in Oslo on Friday 2nd December for its quarterly meeting at the offices of our partners, the Norwegian Red Cross. On the evening before, Marianne Andresen kindly hosted a dinner at her house, Smedbraaten, in Bygdøy to thank our Board members drawn from across the Nordic region and our Oslo-based Council members for their unstinting support and commitment to our UWC mission and values. The evening gave us an opportunity to introduce new friends to our world and work as educators – and we were also delighted also to connect with Oslo-based ambassadors, representatives on the Storting’s Education Committee, members of UWC Norge and our colleagues in the Norwegian Red Cross. At the end of the evening, a bouquet of flowers was given to Vibeke L’Orsa Mortensen to celebrate her retirement and to thank her for being a wonderful source of support and inspiration for the SOS Children’s Villages students at RCN over the past 21 years. For Larry’s speech on building partnerships and bridges to and from Fjaler, please click here. We would like to profile Vibeke in the last week of this term in our ‘People of RCN’ section of the UWC Red Cross Nordic website as this provides us with the opportunity to thank her for her wonderful support of the College since it was founded. Vibeke has, through her acts of kindness and love, been the patron saint of the SOS children at RCN. On the Red Cross-themed TV Action / Global Concerns Day in late October, the students and staff sang happy birthday in the auditorium to Vibeke to celebrate her 70th birthday and retirement from SOS Children’s Villages. At a dinner in Oslo on the 1st December, Vibeke was given a bouquets of flowers and thanked by the College board and Oslo-based Council members for her outstanding commitment to students on our campus. Vibeke has a standing invitation to visit the campus, the students and staff whenever she likes. As she said in her speech at the dinner in Oslo, ‘I started my career as a volunteer and I look forward to being a volunteer in support of these SOS students for many years to come’. 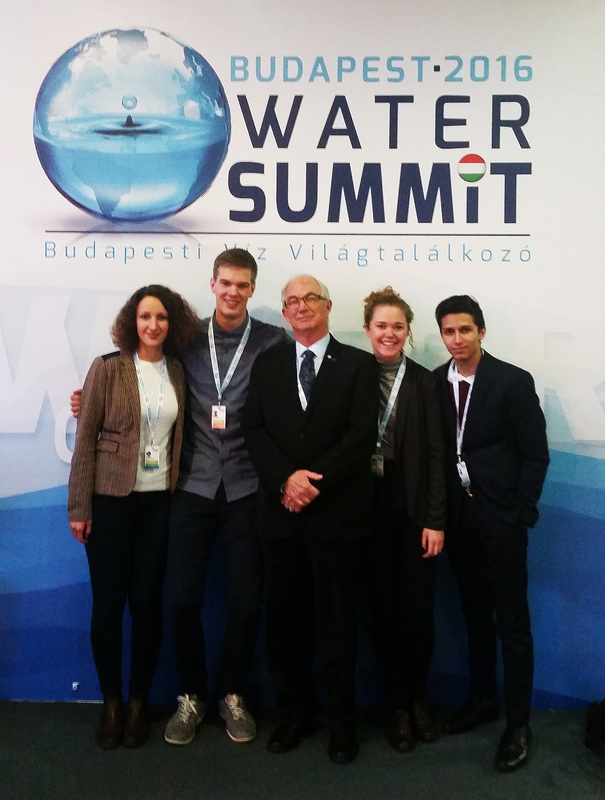 The Budapest Water Summit is an international congress held every 3 years to discuss development in the realm of global water issues – with environmental, socio-economic and political perspectives. 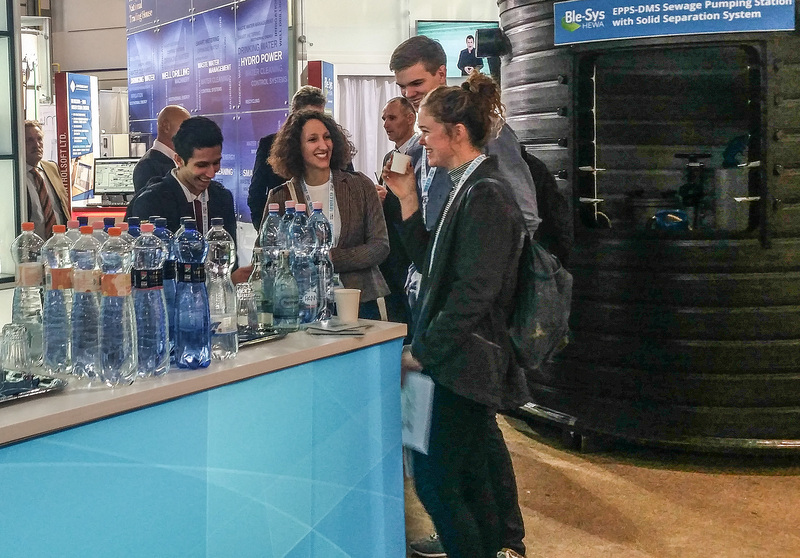 This year’s summit took place November 28th- 30th and was attended by around 1400 participants from 110 countries and a variety of sectors including politics, businesses and NGOs. The summit was divided into several forums (youth, civil, science and technology etc) and was intended to serve as a strategic platform to link to the various attempts to meet the UN’s 2030 agenda for sustainable development. 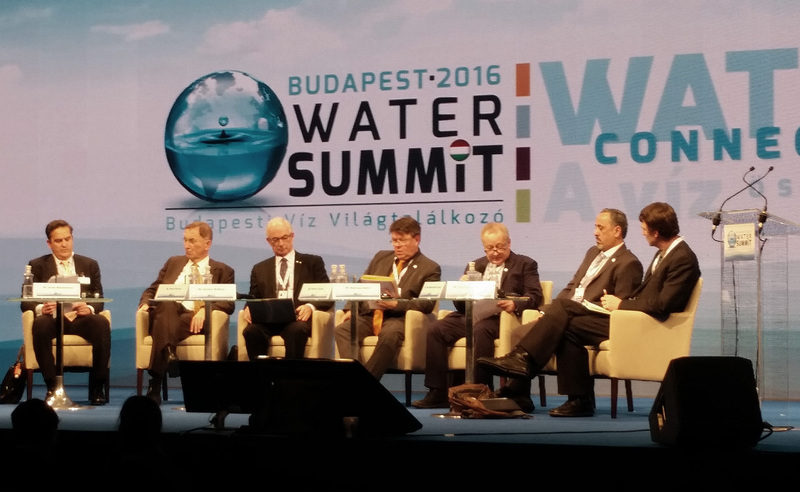 The Summit ended with a call to adopt the newly-formed Budapest Statement 2016 which lays down key solutions that could be implemented by firms, governments, and citizens to attain international water security. Although our delegation was part of the youth forum, we were allowed to attend the others as well. This gave us a holistic view of the current problems the world faces whether it be sanitation or deforestation. Some specific issues that stood out for us were: The large gap between politicians and scientists, the flaws with the public-private-profit sharing model, and the lack of funding opportunities in water-related projects. Various solutions to these problems were proposed and intensely debated. The solutions ranged from simple things like making appeals to companies to follow policies or making scientific reports more accessible, to more radical ideas such as changing the global monetary system from private money to a public money system as still persisted in many places in the world in the 19th century. Over the course of these days, we also got the opportunity to meet several UN delegates, social enterpreneurs and university researchers. In reality, the Summit was more of a networking location to connect policy makers to entrepreneurial initiatives than a congress to find new solutions. It was extremely encouraging to see that the youth opinion was recognized and valued even at such high levels. It made us really happy to know that despite the difficulties that the world faces today, there is a strong and large community willing to fight for what’s right and bring change where necessary. We were proud of being able to contribute to the messages of the Summit and hope that this will raise the awareness on water issues of not just political leaders, NGOs, scientist but the youth of Sogn og Fjordane.